"Thunderbolt technology supports fast data transfers with two independent channels of 10Gb/s each. And Thunderbolt 2 technology can bond the two channels for a superfast 20Gb/s. 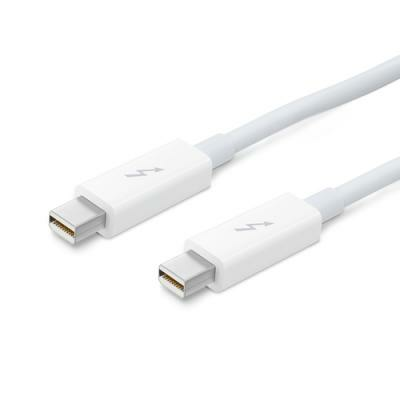 Use this cable to connect Thunderbolt-enabled devices to the Thunderbolt or Thunderbolt 2 port on your Mac.